Finland, Canada, Cambodia--Esri T-Shirts Glow! Finland, Canada, Cambodia�Esri T-Shirts Glow! 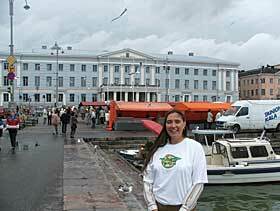 Gwen Bridge, Natural Resources Land Use Team coordinator, Okanagan Nation Alliance in Westbank, British Columbia, Canada, poses in her Esri T-shirt on the harbor front in Helsinki, Finland. The major mandate of the alliance is to conduct land-use planning and title and rights research for the seven First Nation bands of the Okanagan Nation. Ryan Galbraith, instructor of the Natural Resources Technologies Programs at the Saskatchewan Institute of Applied Science and Technologies (Saskatchewan, Canada), poses with his Esri T-shirt at Grey Owl's Cabin in Prince Albert National Park. 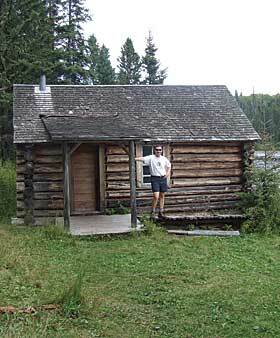 The cabin on Ajawaan Lake is a 20 km (13-mile) backcountry hike for conservation enthusiasts and nature lovers alike. 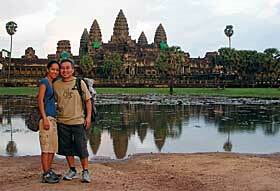 J. R. Serapio, public works GIS technician, City of North Las Vegas, Nevada, stands with his wife Ellen in front of the Angkor Wat Temple in Angkor Wat National Park in Siem, Reap, Cambodia. It is nice he thought to bring his Esri T-shirt on their journey. Amir Bar-Maor, a GIS professional in Israel, recently voyaged to Guatemala. 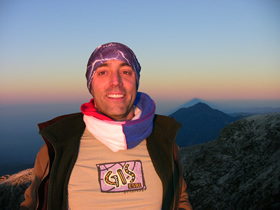 This is a photo of him posing with his Esri T-shirt on Tajumulco Volcano, the highest point in Central America (4,222 meters above sea level).